Location Location! 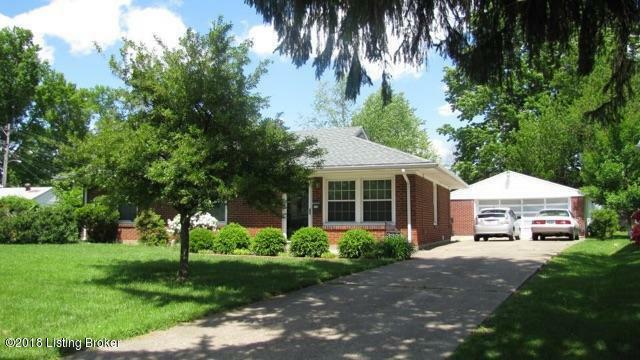 Located right off the 264 Watterson expressway At waking distance from many shopping centers on Bardstown road: Walmart, Lowes, target, Costco, etc. This home was originally 3 bedrooms, and was converted to two with a large walk-in closet; It could easily be converted back to 3. All new carpet throughout, updated kitchen, updated bathroom, newer roof, and some newer windows. Very large 2 1/2 car garage; private fence. All appliances remain with the purchase. Seller offers up to $3,000.00 to pay buyer's closing costs, and $3,000.00 for buyer to make any repairs, corrections, or replacement. Check out all pictures and call your agents now before it's gone!